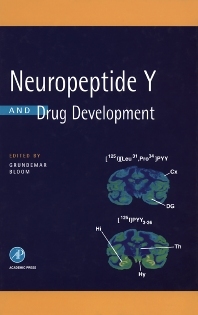 Neuropeptide Y (NPY) is a ubiquitous and important messenger in the nervous system, with a wide range of physiological roles. It is involved in the body energy balance and is one of the most potent stimuli of food intake known. NPY also acts to regulate central and peripheral autonomic functions. This book, written by academic and industrial experts in the field, links the most recent basic experimental knowledge about NPY and its receptors with areas of clinical importance. This book will be of interest to those working in all areas of research affected by NPY, such as food intake and energy homeostasis, cardiovascular regulation and G-protein-coupled receptors, as well as those interested in the development of drugs as NPY targets. Royal Postgraduate Medical School, University of London, Hammersmith Hospital, U.K.